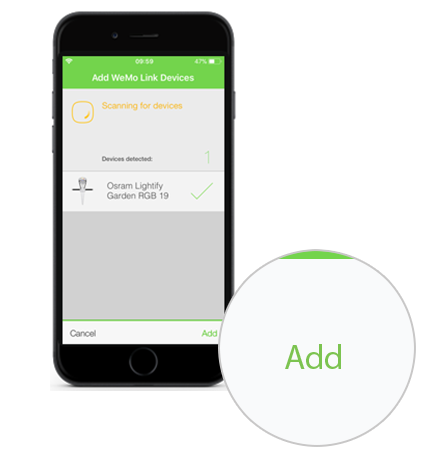 If you already have an existing Wemo® Link on your network, you can add more Lightbulbs via the Wemo App. 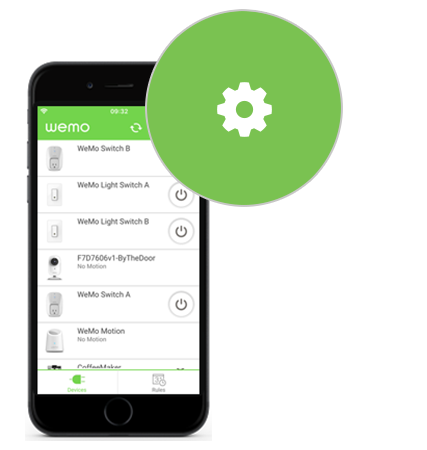 This article will help you how to add more Lightbulbs using the Wemo App. 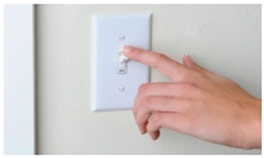 Step 1: Switch your Lightbulb ON. Step 2: Launch the App and tap More. NOTE: If you are using an AndroidTM device, tap the gear icon. 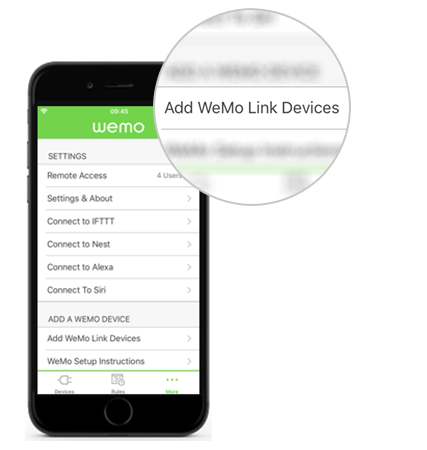 Step 3: Under SETTINGS, tap Add WeMo Link Devices. The Wemo App will now scan for a new Wemo Lightbulb. Step 4: Once the Lightbulb is detected, tap Add. 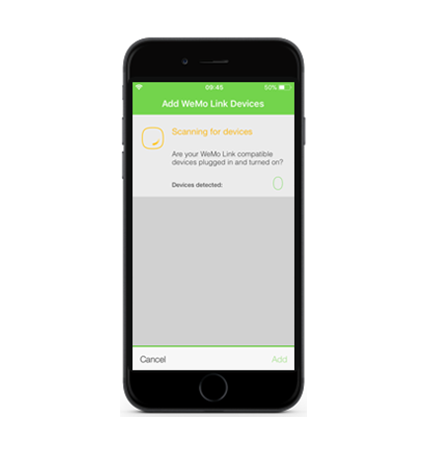 Your Lightbulbs must be on default settings (not paired to any other Wemo Link) so that it can be detected by the Wemo App. If the Lightbulb was previously connected to a network and you need to reconfigure it, you will need to reset the Lightbulb so they can get detected again. When a Lightbulb has been detected you will see it flash for a few seconds. By default they will appear in order as detected by the name: Osram Lightify Flex RGBW 01, Osram Lightify Flex RGBW 02, and so on. Any Lightbulb discovered in this screen will appear with a check mark. If you do not want to add the Lightbulb, just tap it to uncheck it. Your Lightbulb has now been successfully added. Make sure the power source of your Lightbulb is powered ON. 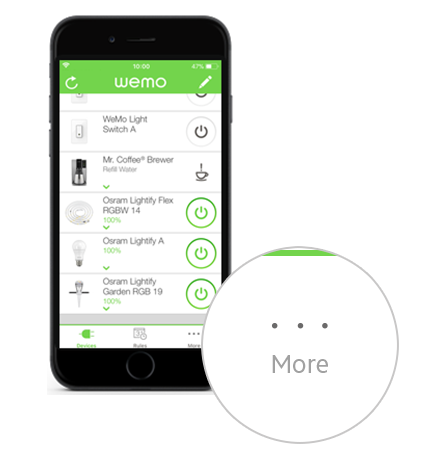 Close and re-launch the Wemo App or tap the Refresh icon.